In that one you see city buildings on a chrome air filter cap but they are quite abstract. Oh wow! This is a super cool reflection shot... so creative! Great shot and terrific reflection!!! Very nice use of reflection here, love the tones and the shine. 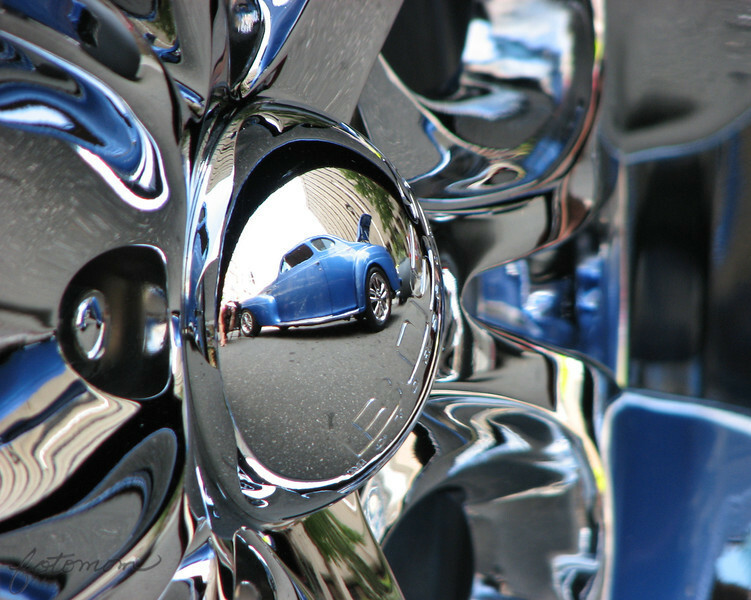 Great abstract chrome shot with an incredible reflection! Great eye to spot and capture this! this is very cool! super reflections, sp, colors and capture!